Recently my husband and I were down one kid for the weekend and decided to take a road trip to Los Angeles for the weekend. Living in San Diego, LA is only a two hour drive away, yet we don’t head that way too often. Considering how many times we drive to Disneyland, an extra 30 minutes is nothing. We figured let’s do it! I hit up one of my favorite Instagram friends Nastassia of Let Me Eat Cake. I love her Insta! If you aren’t already following @letmeeatcake on Instagram, you should. She was so sweet to give me a long list of her recommendations around LA. Needless to say, in two short days we hit up so many places, but still have some spots we weren’t able to get to yet or are eager to go back again too, that we will for sure have another weekend in LA again soon. My husband, youngest son and I took off for LA on Saturday and arrived in town at around 11 am. 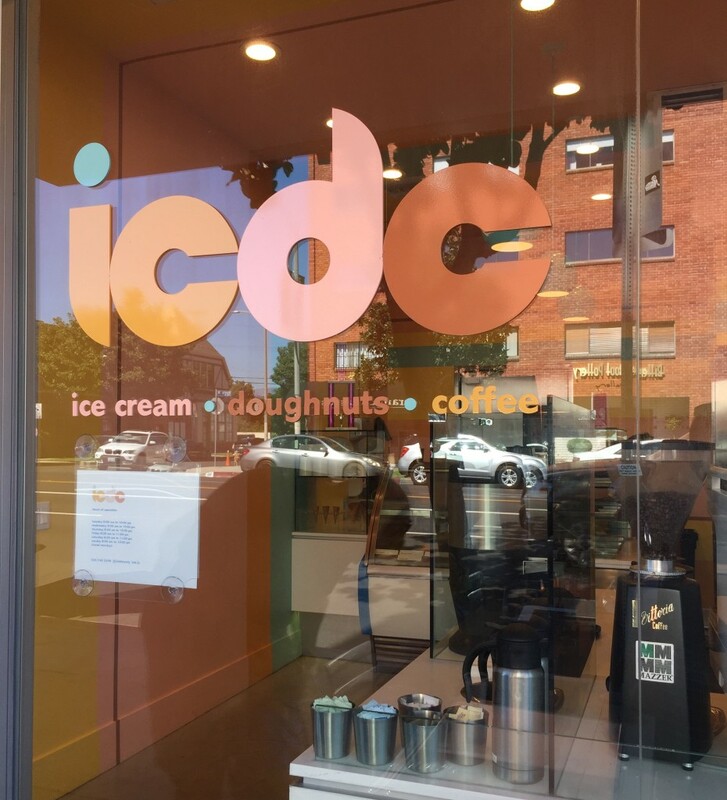 Our first stop was ICDC on Beverly Blvd in Los Angeles, where they have ice cream, doughnuts and coffee. I had one thing on my mind, cinnamon-sugar doughnut holes. But as soon as we stepped inside the shop, we realized we were not going to be able to limit ourselves to donuts. ICDC put me into pastel heaven, I loved the colors right from the get go!